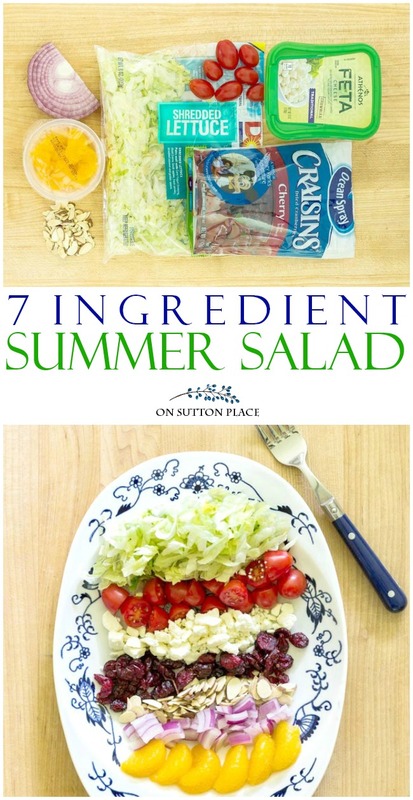 Make this 7 ingredient easy summer salad recipe for fun lunches or simple suppers. Tosses together in just mintues and is full of texture and flavor! When my kids were younger it had a different feeling than it does now. When they were really little our days were filled with trips to the pool, long naps and evening bike rides. As they got a little older, we spent the days traveling to sports camps, practices and summer jobs. Always busy, but the actual elements of summer changed as my family grew. There were three constant elements though, and even though my kids are grown and gone, these elements still remain. Family, fun, and food. Summer is the time to kick back a bit, eat a little lighter, and limit your time in the kitchen. 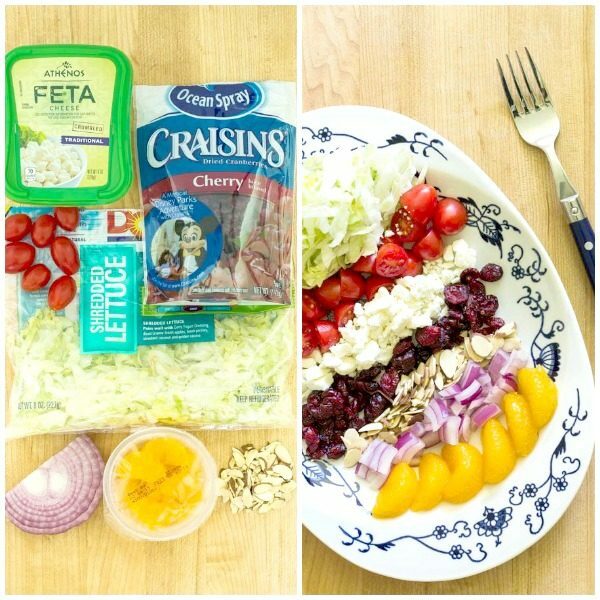 This 7 Ingredient Easy Summer Salad Recipe helps with all of those things. It was inspired by a beach lunch we enjoyed on our Florida vacation. It’s easy, quick, and the ingredients just go together so well. I use the shredded lettuce most of the time but any lettuce would be delicious, especially romaine. I sometimes buy the little cups of mandarin oranges that come in 4-packs, but a fresh orange would work just as well. I like the convenience of the individual cups but if you are making a bigger salad, a can of mandarin oranges would be perfect. Top with your favorite dressing and serve. This is the perfect side salad to any summer meal, and the recipe below should feed four four people. To serve it as the main course, simply double the recipe, add grilled chicken breast (or rotisserie chicken) and a few hard boiled eggs. The key ingredient is the mandarin oranges, so I don’t even bother making it if I am out of those. It’s just not as good without them! Visit my Amazon Shop for my favorite kitchen items! Fixing tonight! Perfect for this hot and humid summer day! Ann! Yum! Between this and your watermelon with mint and feta cheese salad (I’ve pinned them both), I’ve gotten two new, refreshing summer salads to try! Sounds delicious with some left-over rotisserie chicken, (never know what to do the left-overs) I’d serve that for a luncheon with a few friends. I try to eat a salad once a day. Thanks for the recipe! Looks delicious and pretty! I’m going to have to try this one! Pinning and sharing on FB> Can’t wait to make this. Love the 7 ingredient salad. I’ll be doing it this weekend for dinner. It’s starting to get rather hot here in North Carolina. Can always count on you for something tasty and easy to prepare. Oh this sounds delicious. I love a cool summer salad. The mandarin oranges are a great addition. Ann, this salad looks delicious! I love mandarin oranges in a salad, especially if there are also almonds. You have both of those! And Craisins? Yes, please! It’s a great idea to use the individual cups of mandarin oranges–no waste. My son is living in East Asia this year. I got to visit him this spring, and many street vendors were selling fresh mandarin oranges. They were so pretty with the stems and leaves still attached! Yummy Ann! Salads are my favorite lunch! Yours looks delicious and easy…. 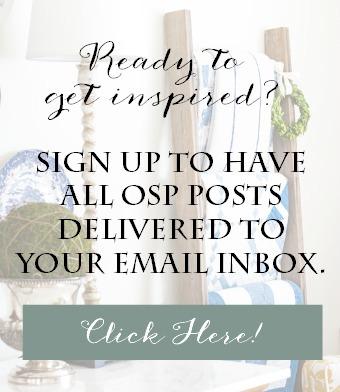 and we know that bloggers are ALWAYS busy so easy is good! It looks wonderful! 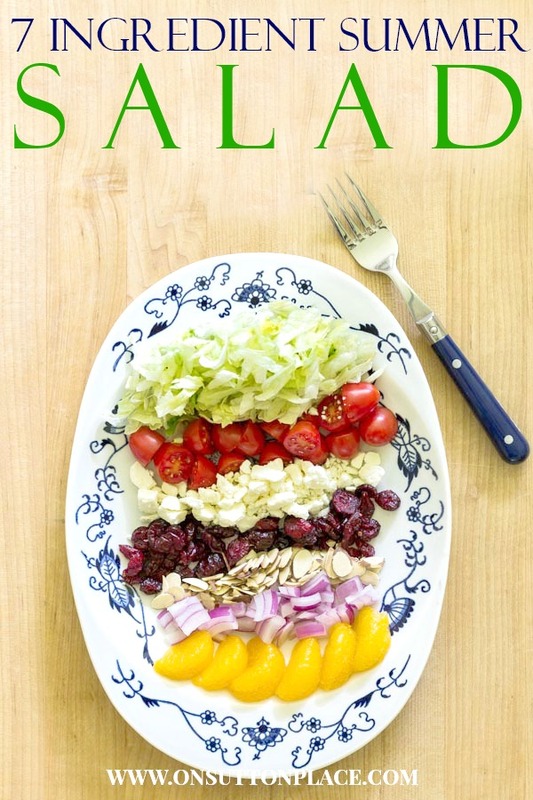 I’m always on the look out for different salad recipes, and this is definitely one I want to try. Thanks for sharing! Ha Kathy I would if I could! Thanks for stopping by! Looks so refreshing – and waistline friendly! Can’t wait to try it out! This sounds absolutely delicious! My friend and I went to Sam’s last night and purchased Craisins and now you post a recipe that uses them. Lucky me, I’m all set to make this recipe. That salad sounds so good . I will be having that for lunch today since I have all the ingredients that it calls for in my kitchen now. Love all your easy delicious recipes. Jack would go crazy for this salad. You never have seen a kid love salad as much as he. Now throw in those craisins, WOW! Sounds yummy! Can’t wait to try this! Thanks for the recipe Ann! Yum, yum and yum. This looks and sounds sooo delicious, Ann! I’ve been eating lots of salads lately and I definitely be giving this one a try. after a week in my bathing suit at the beach, i need this salad…everyday for 7 days. 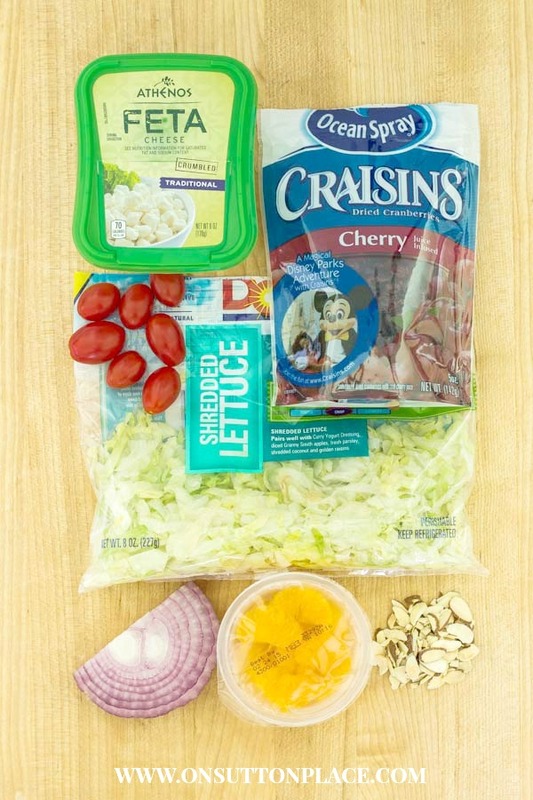 Perfect on the go salad and no cooking required, even better. Pinning! Ann, I’m adding this salad’s ingredients to my grocery list. My daughter loves mandarin oranges in her salads and I’ll share the recipe. Enjoy your weekend.